How can life be lived with so much busyness but also so much loneliness? My home is literally filled with noise, but I wonder how I can feel the ache of empty in my heart. Until I see my Bible, sitting on the table beside me. It is here I find the filling I need. Only, in this season I’ve found myself reading about the Bible and not reading the Bible itself. As a new mom, with only one child at home, I was incredibly lonely. I grew up in a house full of kids. My parent’s homeschool us, so there was always someone around and someone to play with. I lived at home until I got married, and then began my teaching job almost right away. I was always around children. Always. So when it came time to have my own, I was so excited. But as God would have it, we had one baby at a time. Over a period of four years I had three children. My house wasn’t instantly full of children. As soon as we managed to get into a routine, life would change. And my heart would have to adjust. Again to the loneliness. No matter how many children I had, I was still lonely. 1. More stuff. Filling my home with things was something I started doing a long time ago, but the more things I acquired only left me wanting more and my house cluttered. Sure, it filled the space on the walls or in my living room, but not the spaces in my heart. 2. More activities. My schedule filled with activities I thought for sure I wouldn’t have time for loneliness. And to an extent, I didn’t have time to fill lonely, but I didn’t feel filled either. I still felt the ache while driving my kiddos to their lessons and practices. Busyness doesn’t cure loneliness either. 3. More food. I’m on a journey to be more healthy with my eating. I’ve been down this road (so many times) and I’m not sure why I feel like I can share this with you, but I wanted to tell you food was becoming a way I would try to fill my empty soul (not just my empty belly). It doesn’t work. How have I found hope for my loneliness? 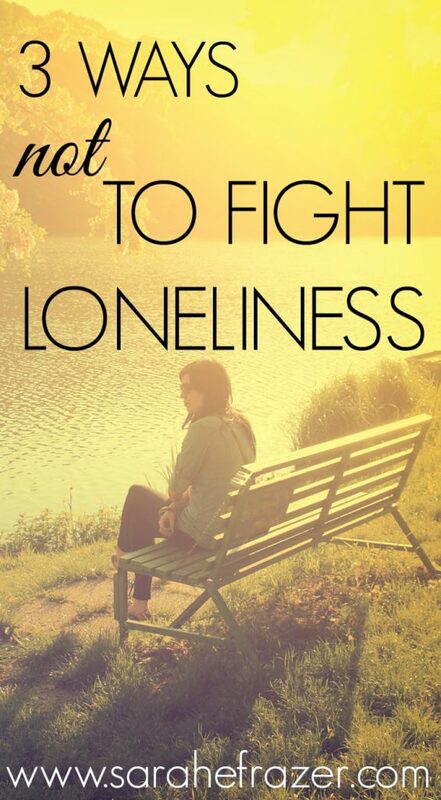 I’ll share next week my ONE secret for finding a way to keep the loneliness at bay. And you probably already do this. I’ll share it next week. Read it here. 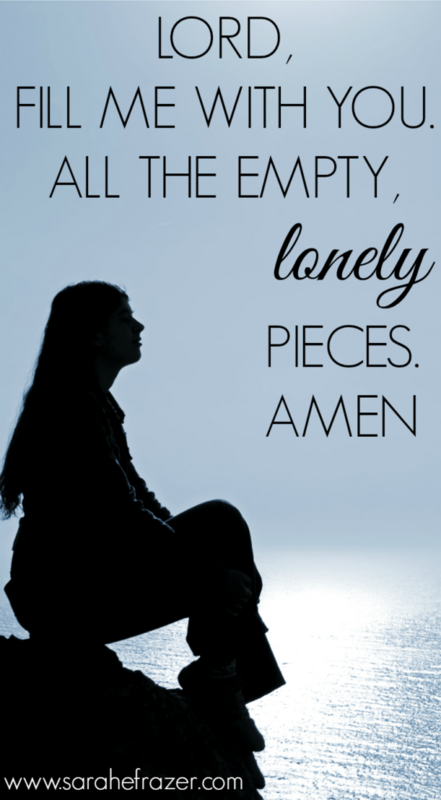 Lord, fill me with you, all the empty, lonely pieces. Amen.